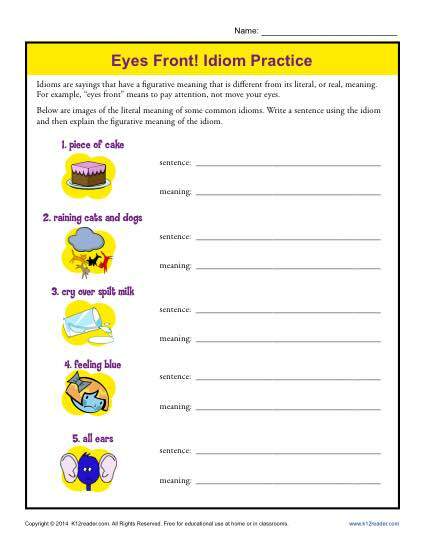 In this colorful worksheet your student will compose sentences with common English idioms. She’ll then explain the meaning of each one. While many students in different grades may find the worksheet helpful, it particularly useful for 4th and 5th grade Common Core Standards for Language.